Is your boiler broken? Can’t take time off work? No problem, we will arrange an appointment when its suits you. Able to attend at short notice and quite often weekends and evenings if more suitable. Top Boiler is founded on 10 years’ experience in helping landlords, architects, and home owners all over London with their heating, gas and plumbing needs. We are a London based Boiler installation and repair specialist company. We are here to keep your heating and hot water going. From topping up your boiler pressure to installing boilers and central heating system change overs. Local and personal Service, work is 100% Guaranteed. 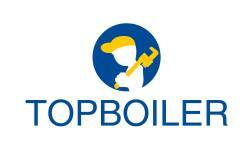 Based in West London and covering all of London, at Top Boiler we provide a more personal service. As the owner and operator of the business you can be guaranteed that every job (big or small) undertaken will be of the best quality as it’s my own company’s reputation on the line. Being a London based, UK qualified Gas Safe Engineers and specialist in boiler (gas & electric) installations, we can quickly and efficiently install a broad range of boilers and handle all types of breakdown repairs as well as design and install complete heating systems. We take pride in providing customers with high quality service, with the latest diagnostic, service & repair equipment and fully stocked vehicle with the most common Plumbing & Heating parts at our fingertips we excel at repairing heating systems. We use latest technologies to perform power flush efficiently and thoroughly. We’ve always believed that successful power flush is derived from moving water as fast as possible through a heating system to mobilise and transport the debris to a point where it can be forcibly discharged. That's why we use Kamco Clearflow CF90 Quantum power flush pump which can deliver 150l/min flow. The all important flow rate is achieved without increasing maximum pressure beyond 1.8 bar, to ensure that no damage will be done to a heating system. The flow rate is more than double that of most power flushing pumps on the market, enabling it to remove more debris from a system and in less time. Low overhead costs (no fancy marketing!) and direct trading accounts (no middle men!) with boiler and plumbing manufactures attained through past experience in running a plumbing shop in West London means that we can be highly price competitive providing the highest quality work for the lowest possible price. Call us today for a free no obligation quote on 0208 935 5614.